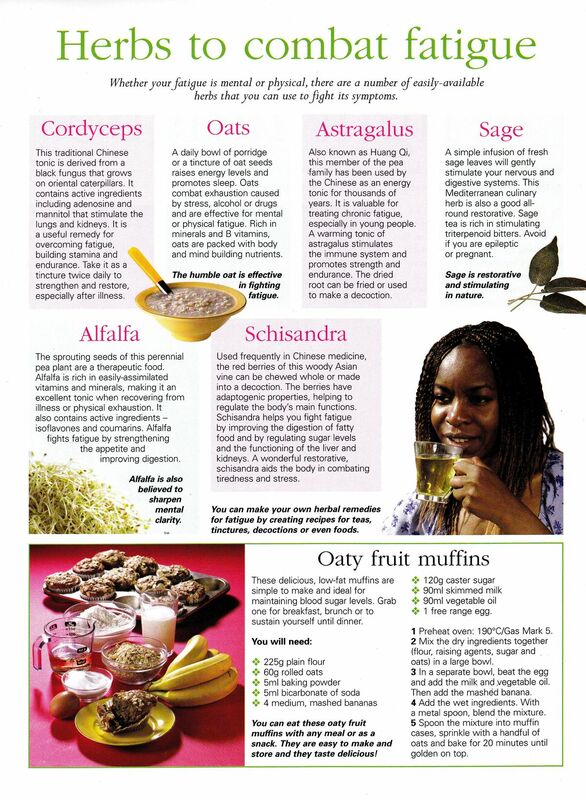 If you've been trying to eat right but still lack the energy you want, herbs may give you that extra boost. In extreme situations, these glands may struggle to keep up with the demand, and produce fewer and fewer of the hormones that you need, which could be the source of your lack of energy. Another condition that could be causing a lack of energy is a nutrient deficiency, which happens when you are unable to eat the way you really should. So if you find that you can’t get through your day lately without drinking more than a few cups of coffee or bottles of energy drinks, it’s time to look for a healthier solution. Although you may be getting that quick burst of energy you’re looking for, you may also be experiencing those blood sugar crashes, which can lead to more significant fatigue and headaches as well. Oregano can be taken in pill form or as an oil that is added to tea or another drink. Oregano essential oil, in particular, is high in the antioxidants carvacrol and thymol, which can help prevent damage to cells from free radicals. Antioxidants also may help your body repair any damage. Oregano bucks up your immune system so that your body can fight off bacteria or viruses that might be causing you to feel tired throughout the day. Ashwagandha is an herb that is often used in Ayurvedic medicine to fight inflammation in the body, which can cause pain and fatigue. It also may help lower stress and decrease the pressure on the adrenal glands to keep pumping out cortisol. This herb may help reduce stress, manage the symptoms of anxiety, and possibly help stabilize blood sugar levels in those with diabetes. Holy basil—which is different from the basil you use in pesto sauce or to garnish fresh tomatoes —is often drunk as a tea or taken in pill form. 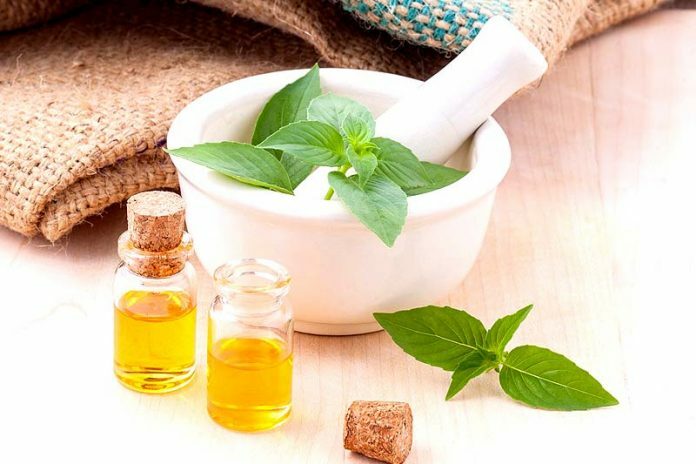 In Ayurvedic medicine, holy basil is one of the most frequently prescribed herbs because it is useful for treating a wide variety of conditions. Early research suggests a possible reduction of stress, anxiety and exhaustion. Historically, holy basil has been used to decrease pain and swelling. One caveat: animal studies suggest that you should avoid holy basil if you’re pregnant or trying to become pregnant. Reishi mushroom is a fantastic multipurpose herb that may give an enormous lift to your immune system. If you’re coming down with something, try taking reishi mushroom—you just may notice a difference in how quickly you can kick that cold. An added bonus? Reishi mushrooms have also been used to reduce stress and prevent fatigue. You’re probably somewhat familiar with the herb gingko biloba. Although studies are mixed, it is believed to increase the flow of blood to the brain and help the circulatory system, and therefore to aid memory and focus. If you tend to get mentally foggy by midmorning or if you experience a total energy crash by late afternoon, gingko biloba may help you remain alert and focused all day long. It sometimes seems that multipurpose green tea can do it all: boost the immune system, improve general health, increase your metabolism, and naturally raise your energy level. It’s also delicious, so you can drink green tea whenever you’re tired for both a tasty treat and additional energy. Green tea does have caffeine, but at a much lower level than coffee. The Chinese call ginseng the immortality herb because of the beneficial effects it has on the body. Ginseng is believed to fight fatigue in a healthy way, so if you want a little natural kick to get your energy level up, ginseng is an herb you can try. That’s why so many energy drinks use ginseng in their products. But you can skip the caffeine and sugar in those beverages and take ginseng. Ginseng may also help promote a positive mood and boost endurance. Cacao is actually an herb. The catch is that you need to eat cacao high in cocoa flavanols. This phyto nutrient makes nitric oxide immediately available to help support healthy circulation. When you have optimized circulation, the result is that you may feel more energized. With the herbal energy from these eight sources, you can give yourself the natural energy that will help you live better and healthier. Another great option to try is a supplement such as RECHARGE HEALTH centered energy, which contains an energy-boosting combination of CoQ10, goji berries, rhodiola rosea, and Vitamin B12. All of the ingredients are sourced from whole foods and medicinal herbs so you can feel confident that you’re putting the best things into your body to help give you the energy you need. 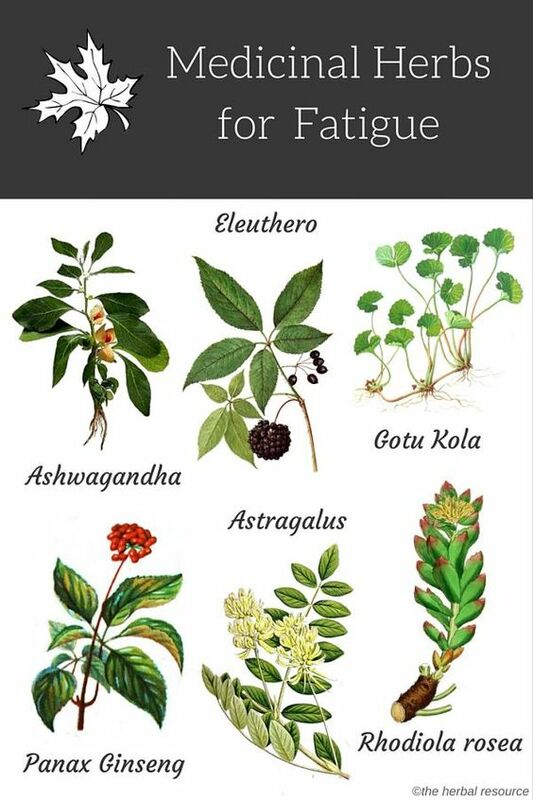 Home Remedies For Fatigue & When You’r Feeling Tired – Weakness and Body Tiredness. Next articleIs Indoor Rock Climbing a Good Workout?